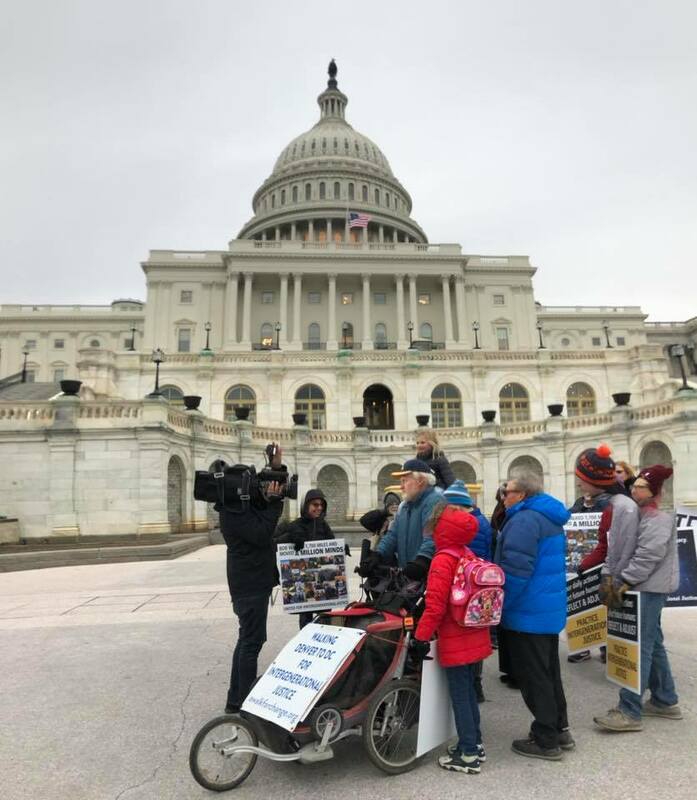 At 3:36 pm on Sunday, December 9, 2018, Bob McCormick finished “A Walk for Change,” rolling into the U.S. Capitol with family and friends. In 130 days, he crossed 10 states through conditions ranging from extreme hot to extreme cold (and a lot of extreme wet), bested body and equipment breakdowns, and braved too-close, too-fast traffic. Along the way, Bob met amazing and generous people, spreading the idea of Intergenerational Justice to millions. What’s next? Watch this space. I’m almost done! I’m so excited to be rolling through Northern Virginia and headed to the U.S. Capitol on Sunday. Come out and meet me; locations and times below. SATURDAY, 12/8, 4pm: I’ll be arriving at the Vienna Caboose (and the mural!) at 4pm. Family and friends are flying in to meet and celebrate. SUNDAY, approximately 1:30-3pm: We’ll be passing the Arlington Cemetery and then Smithsonian Metro stations. If you want to join in the final steps of the walk, track me live with SPOT. SUNDAY, 3-3:30pm: Arriving at the U.S. Capitol. 1511 miles | Cumberland, MD | Follow Bob's progress live with Spot GPS. Walked into Cumberland MD today, 1500 miles from Denver and only 184 miles from DC. I will be walking on tow paths and bicycle trails the rest of the way— no more cars and trucks whizzing towards me at 60 mph, hallelujah! If all goes well, I will walk into DC on on December 9 with my family and several friends, for the benefit of our children, grandchildren and all future humans. If you believe Intergenerational Justice matters, and you are in the DC area on the 9th of December, we would love to have you walk with us.